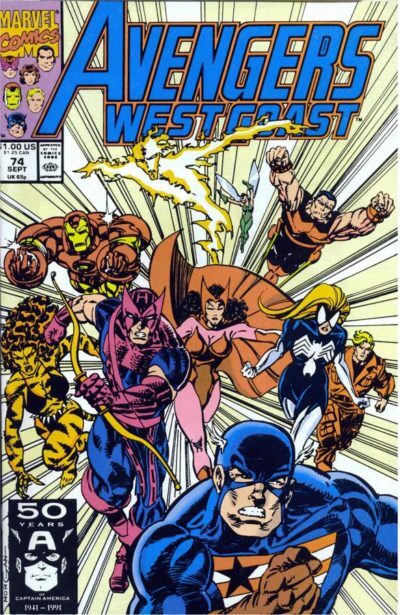 The Avengers West Coast comic books definitive collecting guide and reading for omnibus, hardcover, and trade paperback collections. Find every issue and appearance! Part of Crushing Krisis’s Crushing Comics. Last updated November 2018 with titles scheduled for release through July 2019. 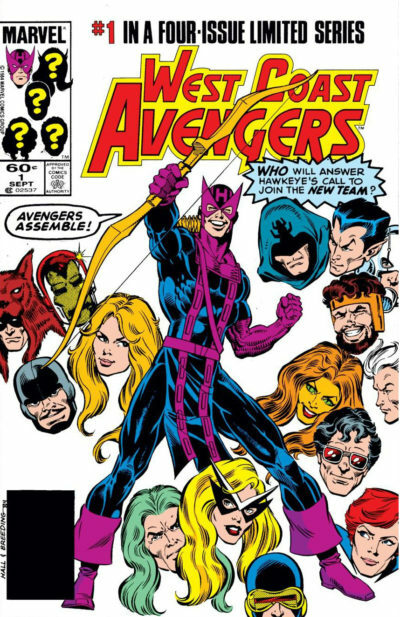 The Avengers had the best kind of problem in the early 80s, whether your perspective was from within comic book continuity or behind the scenes: there were just too many darn Avengers! The Avengers had gradually shifted its focus from Marvel’s major heroes who anchored their own books (like Iron Man and Captain America) to a roster of characters that needed a team book to thrive. That meant plenty of fan favorite characters would be left out during any given run. The best solution was to follow a trend set by Spider-Man and just recently by Chris Claremont’s X-Men: launch a second Avengers book! 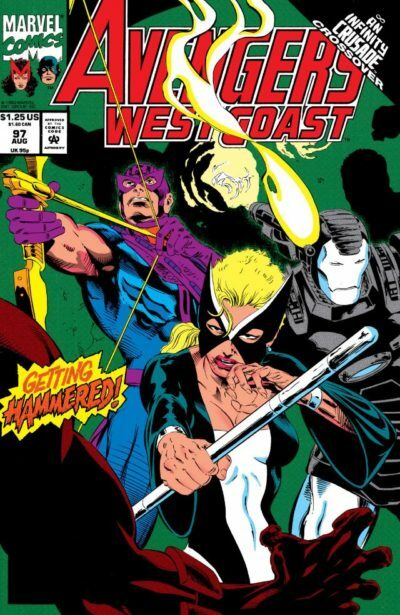 West Coast Avengers launched with Hawkeye as a central focus. He was chief amongst those team-based, fan-favorite characters, hot off of his own limited series. Hawkeye was initially joined by his wife, Mockingbird, Tigra, and West Coast natives Wonder Man and Rhodey Rhodes as Iron Man. From a story perspective, the central conceit of the book was that America was a big country, and the NYC-based team couldn’t always be responsive to threats across the nation. In practice, it allowed writers like Steve Engelhart, John Byrne, and Roy Thomas to tell big stories that still focused on character history and personalities. Byrne, in particular, used it to dig deeply into the story of Scarlet Witch. As comics became more entrenched in extreme, violent themes, the relative staid Avengers team was disassembled in favor of an Iron Man lead Force Works. Despite a flashy launch with a pop-up cover, Force Works never caught fire like the similarly themed X-Force, and was cancelled as part of the line-wide removal of Avengers in 1996 as they headed off to the Heroes Reborn pocket universe in the wake of Onslaught.